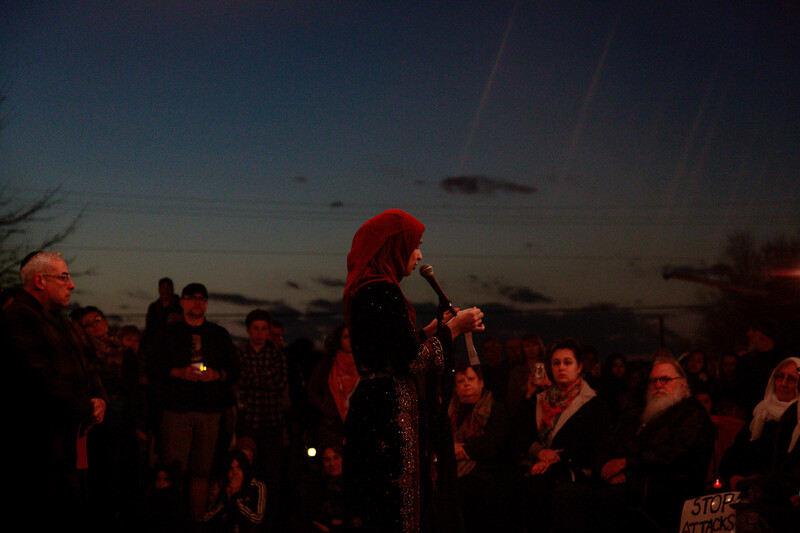 A vigil in Clarkston, Georgia held for New Zealand victims. Photo by Chase Moore. The road to peace I know is hell. I know it well. I used to be a peacekeeper. Many days, I still am. I can keep the peace in nearly any situation. I can squelch an argument with a kind smile, I can compromise on nearly any topic, I can refuse to engage if I know we simply won’t agree. I can create silence. But peacekeeping is a tricky word, because it’s not really about peace, is it? It’s about maintenance of the status quo. Which feels like peace, if you’re the owner of the highest status. But what if you’re not? What does it mean to be a peacemaker? How do we give voice to the least of us? How do we stop believing there is inherently a least of us, and start recognizing that we’ve created a system of least and most and middle-somethings? What does it mean to be a peacemaker? What does it look like to cultivate communities where we wrestle with our fears and vulnerabilities together? Where we sit in the muck of unanswered prayers and anger and hurt and the mundane together and we own our struggles and flaws but love each other, anyway? Peace is for all or for none. What does it mean to make peace? To mold it, like cold clay in furious hands, pushing and bending and stretching and pounding until we are weary but it looks like something we meant to create? To build it – like a home – laying our bodies as concrete foundations and inviting our neighbors to stand tall on our backs as walls, our children our doors, our inmates the windows, our enemies lifted as our roofs, the shattered among us pieced together as the brilliant chandeliers? Would we lay our bodies down, as a beginning? How does it feel to be a peacemaker? Does it hurt? I think it does. I think it’s pure hell. Because to make peace is to first know brokenness. How can we ever make peace if we can’t first acknowledge and stand in the reality that it’s been unmade? How will we know we’ve made peace? Peace for one of us, for ten of us, for a hundred million of us is not peace. It’s complicity. Peace is for all or for none. We are woven together, oh the humanity. And I don’t know how we will know, but we will know. Pursue peace through action. around the world, where you live. Join The Frontline. I believe with everything in my being and soul, we will know peace when it is made. It will look and feel and sound like love. I catch glimpses of it, now and then. You probably do, too. It’s never when someone buys a bigger boat. It’s when the broken is remade, when the child finds her parents, when the underdog wins, when the lost find home. What is peacemaking? I don’t know for sure, but I have an idea. I think it’s more work than we want to believe. I think we are going to want to give up – in fact, many of us already have. I think it’s painful, all the way through. The making is gritty and it’s cold and sometimes it’s so ugly we want to look away. But there’s no peace without the making. And love doesn’t look away. Stay in it with me. I am casting aside peacekeeping. It’s easier, but the cost is too great. I am committed to the making. If I lay my body down, will you lay next to me? As a beginning? Wage peace at home and around the world. Give today.